Do you want to win big money or an HDTV package? Here is your chance to win these big prizes. Once you have submitted you video, tell your family and friends to vote on it. The more votes you get the more chance of winning the prizes. Still unsure if iLASIK is right for you? Find an iLASIK doctor at gottaseethisnow.com to discuss the procedure or see if this is the right one for you. To submit your videos, view and vote, please click here. Last Monday, KFC gave free grilled chicken to its customers. We thought that was a great deal. 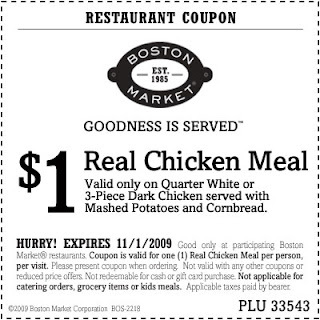 But, Boston Market came with a better deal - the $1 real chicken meal. Not just a piece of chicken but a quarter white or 3-piece dark with mashed potatoes and cornbread. This offer is up to November 1st so if you are lazy to cook, click this coupon and your dinner is on BM. The basic necessity to function our toilet is water. Imagine how many gallons of water we use every day to flush our toilets. But, here is a way on how we are able to conserve our toilet water by installing a device called dual flush toilet valve by SelectAFlash. It is a dual flush toilet kit and a water conservation device for toilets. There is no need to replace your standard toilets. All you need is the dual flush water conversion kit that can be bought for a very low price of $29.99. This minimal price is very little compared to how much you can save every year on your water bill. The dual flush toilet kit can save you up to 50% of your water every time you flush your toilet. Other than water conservation by using selectaflush, it can also be a good source of school funding, money for charity, funds for after school program or school tuition. 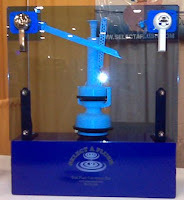 For each sale you generate, you can earn money from selectaflash to fund your program of choice. Spread the word to your family and friends to get more sales and raise more money. Start saving water and raise money now with Select A Flush. For more information visit their website at dualflushkit.com. If you want to have starbucks coffee anytime anywhere you should have starbucks VIA in your purse, car, office or pocket always. 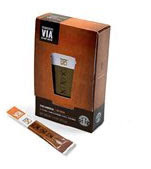 Starbucks VIA Ready Brew is a rich, flavorful, aromatic starbucks coffee in an instant. All you have to do is add water. You can buy this in packs of 3, 12, 48 or in a gift pack. It is also available for subscription. I was watching a TV show last night featuring the best places across the U.S. where you can spend Christmas with the whole family. One of the best featured Christmas holiday was the Ozark Mountain Christmas in Branson, Missouri. The whole city is filled with holiday lights, music and almost every theater have Christmas shows for visitors. There are carolers in their holiday costumes that walk around adding to the holiday cheer and festivities in the area. During this season, always check the exclusive special packages being offered by the Hilton hotels. They have two hotels conveniently located at the town center, namely, the Hilton Promenade at Branson Landing and the Hilton Branson convention center hotel. One package called “it’s a Wonderful life” starts at $329 per night from November 15 thru December 23. You can shop, dine and relax during your stay in Branson plus a bonus treatment at the aspire medical spa. For the kids, they will surely enjoy the “story time with Mrs. Claus” in the lobby of the Hilton Branson Convention Center Hotel. Give the kids the best unforgettable Christmas holiday with the “Santa Coming to Town” package where they get to experience meeting Santa in person as he delivers presents, cookies and milk to guest’s room. Do not forget to capture this great moment as the kids meet Santa the first time. This package is only from $189 per night. Treat your whole family to a spectacular Christmas holiday by going the Branson, Missouri. 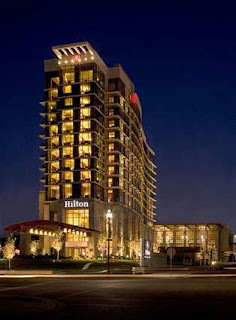 For more information about their exclusive packages, visit their website at www.hilton.com. 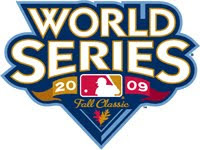 Congratulations to the New York Yankees for being the ALCS Champion for 2009. They beat the Los Angeles Angels 5-2 in Game 6 at the new Yankee stadium last night. The Yankees will be facing the defending champion Philadelphia in the World Series. The opening game will be on Wednesday night. Here goes The Turnpike Series. Thank god it’s Friday. It has been a very busy week for me. I thought I can come home early and pick up my daughter from school today but I just cannot leave my work unfinished. I had to stay a little bit late. I have no plans this weekend except to go food shopping. Other than that I just want to rest and do a movie marathon. I already missed a lot of shows this week. I am so happy that we switched to Charter digital. The charter on demand has saved us a lot of money. First, I canceled my movie rentals through mail and no more trips to the local movie store nearby. With the on demand, I can watch my missed shows anytime I want to. And, it is for free. Now I don’t have to adjust to the TV schedule because I can watch my favorite TV shows during my own free time. This will also eliminate the conflict among my husband, me and our daughter as to what show to watch on TV. This weekend I will also check my Facebook page and be a fan of Charter. By becoming a fan I would be able to get updates and fun extras on Charter’s Facebook page. If you do not have a facebook account, you can still learn more at charter.net/ondemand. Have you switched to Charter yet? Do it now and enjoy the fun. Clixsense pays. It is a pay to click (PTC) site. Not much earning but sure money if you are patient and have the time to click every day. My first check was last May and the 2nd one just came. Theb payout is $10 less a service fee. A check is mailed to you. If you want to register with clixsense, please click here. The last time I went home to Manila, I bought a lot of our local beads as gifts to my friends here. I love jewelry but I was not into fashion jewelry like beads and gemstones. After having been to a lot of stores selling beads, I have discovered how beautiful and trendy they are. So when I got back here, I started buying beads for me and it has become a habit to check beads when I go shopping. Even a clothing store has a section for fashion jewelry that would go with different style of clothes. Now I could say, I learned to love beads. I could wear an ordinary jeans and shirt and just accessorize my outfit with a bead necklace and what a transformation it does. I have been buying my beads from regular stores in the malls and they are not cheap. 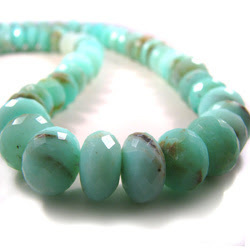 I try to learn to make my own beads to save money since I came across Beads Of Cambay, an online store that carries a big beads inventory of different stones, colors and shapes. If you are a jewelry designer or artistic enough to make your own jewelry, you can order Wholesale Beads & Gemstones from Beads of Cambay. Shop with confidence at Beads of Cambay. 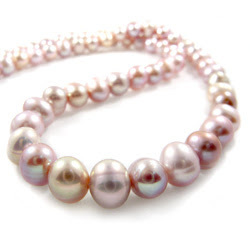 You will be getting quality hand-selected beads and gemstones with excellent customer service from their professional staffs. A worry free shopping is guaranteed plus free shipping on all orders over $100 with in the U.S. Some people commented in an internet article saying, maybe his career is dead but not kanye west! My husband is not really into jewelry but when he saw his favorite tennis player wearing a Technomarine Moonsun Abyss watch, all of a sudden I saw him shopping for one. It is a waterproof diving watch in a stainless case and bezel with a black silicone strap; a water resistant of up to 10,900 meters! When he got the watch, he was explaining to me the importance of the silicone filled case with a permanent bubble floating inside. It is to prevent implosion and to resist the greatest depth of water. Now came the time to replace the battery. We found out that there are only few certified dealers here in New Jersey so we went to the one closest to our house. They told us that they do not do the battery replacement at their store and they have to send the watch to the Technomarine factory. A special tool is needed to open it up because of the silicone. The store gave us a receipt and they will contact us after a couple of weeks. That was the deal. Few weeks passed, we never got a phone call. We went to the store and the owner told us that the watch got lost in transit. They are waiting for the courier to pay them back but my husband does not believe the story anymore when they offered him the same watch but has no silicone bubble inside. My husband knows his watch inside out. He thinks that they never sent it back to the factory and they just tried to replace the battery themselves. They did replace the battery but the permanent bubble inside the watch is gone. Several arguments and trips to the store happened within the next weeks. Hubby was already thinking of going to a small claims court if worst comes to worst. So what is the ending of the story? On our last trip to the store, hubby told me he will never leave the store unless they replace his watch with a brand new one. He got what he wanted. Hubby walked out of the store with a brand new watch. Be the kind of women that when your feet hit the floor each morning,The devil says "Oh Crap, She's Up." Sister, life is too short to wake up with regrets.So love the people who treat you right.Love the ones who don't just because you can.Believe in everything happens for a reason.If you get a second chance, grab it with both hands.If it changes your life, let it.Kiss slowly. Forgive quickly.God never said life would be easy.He just promise it would be worth it.Today is sister's day. To the cool women that have touched my life.this is for you.....LOVE U!!! Rules:Tag all your sisters, mothers, daughters, aunts, girlfriends,Including me if I am like one. If you get tag back seven times, you are loved.Happy sister's day! LOVE YA SISTA!! !Girlfriend and sisters WEEK. Thanks to Vicy and Tita Beng for giving me this tag. I feel so special now. pinoy, dhemz, meryl, anniniput, thoughts of a sahm, yen, analou, maricel and YOU. A lot of my friends know that I own a Website and they always ask me to help them build one. First thing I say is “just register on the free services offered online.” They did what I told them to do and the follow up question after a few months of having a blog is “what is the right web hosting company for their blog.” I always tell them to check webhostinggeeks.com. Webhostinggeeks.com is a website that has a compilation of independent reviews and ratings of the best web hosting providers. You can find professional website hosting services for under $10 a month with at least one free domain name registration plus 30 day money back guarantee. The different web host companies are ranked according to their features, host reliability, key and bonus features, customer support, pricing and user friendliness. The reviews and feedback from customers are also worthy to be considered when choosing a web host because these are all based on their experiences with a particular web hosting company. I found my web host provider through webhostinggeeks.com and I am happy with the service. Know what kind of web host you need depending on your website and take time to go through all the reviews. I am sure you will find one best that fits according to your need and budget. This is water under the bridge already. Cash out is working fine. You can withdraw funds from your accounts now. In the world of computers and internet, there are traditions that have been taken for granted. Do you still give birthday, Christmas or get well soon cards to your friends or loved ones? To be honest, I am one guilty person. Not much with giving of Christmas cards but with birthdays I just do my greetings electronically. Why am I on reality check all of a sudden? Because of the card I received from my friend who was in Cape Cod for a vacation. 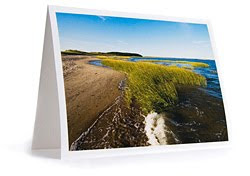 It is a photo card by Note Card Artist named Fletcher Boland featuring the natural beauty of Cape Cod with her personalized handwritten notes. Fletcher Boland is an independent artist, photographer and a trained sculptor who lives and works at Somerville, Massachusettes. He is an artist who loves to travel and on his Cape Cod Note Cards, he is able to share the amazing places he has been to. Boland has created a name in his own field as shown by the awards and recognition he has received. In 2008, he sold in Juried Auction at Museum of Fine Arts, Boston and was a file magazine contributor. This year, he was selected for ArtMarket Boston and featured in Best Photography Annual. Since he started concentrating on photography, he already had numerous shows and a solo one this year. Check out these beautiful note cards or read the Note Card Artist Blog at notecardartist.com. The cards are printed on an extremely high quality paper using a mix of nine inks that could last for 100 years. I am sure this card I got will surely last a lifetime. While I was on yahoo.com, I found this: “woman receiving chocolate facial” as one of the most emailed news photos. When I clicked it, it led me to this picture, a woman having a chocolate facial in one of the beauty salon in quezon city Philippines for P600. No mention of the salon’s name otherwise it would be a free advertisement. Anybody has been to this quezon city salon? Or had a chocolate facial? messages from my worldwide visitors, thanks!